As I’ve mentioned in other posts, collaboration on team projects can be challenging. Getting everyone together to work on the project is part of the problem. Trying to arrange schedules so that all those involved can participate and get on the same page can be difficult if not impossible. When you can’t get everyone together you run the risk of miscommunication and misaligned goals and responsibilities, leading to frustration and possible failure. Once the group members have been identified, agree on one individual to take the point in communication and logistics. The point person should immediately set up a google doc with the file name Course#-Covenant and invite everyone to share editing privileges with the team. The Instructor should also be invited to share the document to view participation by the whole team. Incorporating collaborative classroom activities which are both instructive and engaging can be challenging. One way to do that is to use an activity similar to the one I describe below. I could emphasize the importance to setting up an RSS feed (I use Bloglovin but there are many which do the same thing and almost all are free) and to pull together some favorite blogs for collection. This promotes self-development and ongoing-learning, a skill that will be vital for everyone in the days ahead. Check out this post about these feeders. I would use a specific post like the one above and parcel it out to groups in the class and ask them to explain how to determine whether or not a trait exists in a job candidate. For instance, one of her 10 vital traits was that the individual must have a growth mindset. You may be aware of the book Mindset in which Carol Dweck explains the virtues of the growth mindset and the differences and advantages over the fixed mindset (excellent book and I highly recommend it). I would challenge the group with this assignment to find out about the growth mindset, if they don’t already know, and then determine ways in an interview to discover if the candidate had a growth mindset. Alternately, you could post large pages of paper around the room and list the 10 traits on per page and have the groups rotate from page to page every couple of minutes adding their thoughts to how to find out if that trait is present. There are a LOT of good resources available to draw upon to enrich your class and engage your students. If you would like to know more or have questions, please contact me (rupchurch@belhaven.edu) or Dr, Kim Priesmeyer, Dean of the Center for Teaching and Learning (kpriesmeyer@belhaven.edu). Many of the courses in the Adult Studies Programs for Belhaven University include a Team Project. The inclusion of the Team Project is valuable on many fronts: It provides the opportunity to learn to work together, maximizes group resources, allows for synergistic achievement, just to mention a few. It is also one of the most frustrating experiences for many students who complain about “freeloaders” who don’t do the work and either drag everyone’s grade down or force others to carry the extra load, often without the Instructor noticing or seeming to care. The best solution to this and one which falls in line with our goals and mission is the Team Project Charter. Unfortunately, it is often ignored because it takes time to work out and many Instructors and even team members fail to see the value, wanting to jump straight into the project. This is almost always a mistake leading inevitably to the complaints mentioned above. Planned meeting time, place, and agenda. Clearly understood attendance requirements and penalties for absences. Discussion of responsibilities of members within teams. Conflict management and resolution, penalties for constitutional covenant breaches, and plan for constitutional covenant changes. When these items are spelled out it is much easier to pull the document back out at the beginning of a Team meeting and address any problems and the potential penalties for covenant breaches. It empowers teams to function smoothly and to stay focused, while avoiding freeloading. 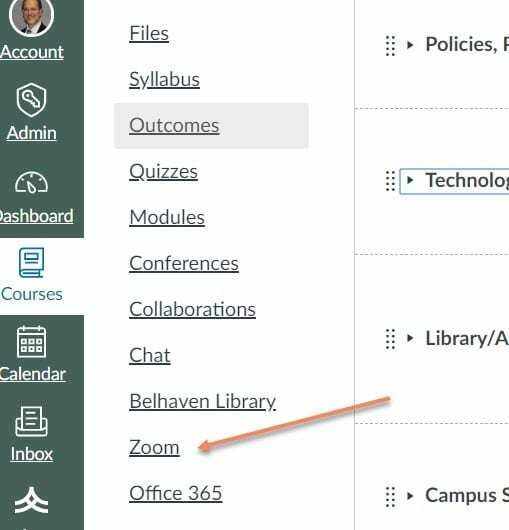 There is an example of the Team Project Covenant on Blazenet under Student Live/Services – you can find it HERE (you must have a Belhaven login to access this document). If you haven’t wanted to take time for this in the past, I strongly encourage you to make time going forward. It will provide a better experience for the students, less frustration and grousing for you to deal with, and, more importantly, allows students to see how to deal with situations if a positive format that they can use in the future. I posted the material below to the Adult Learner Blog but I thought you would like to see it as well. If you use this process you can hopefully cut down on the problems which arise from team projects. Note the italicized comments which were not included in the post the Adult Learner Blog. Make sure you complete the Team Covenant the first meeting of your team. This can be found on Blazenet under StudentLife/Services in the Documents. While completing this may take a few minutes, the value comes in having everyone on the same page – especially when it seems like some in the group are dropping the ball. Calling out those who aren’t complying with the Covenant expectations may be necessary, but it is much easier if the Covenant exists. If you make time for this in the first or second class session it can help the whole group succeed. Make sure everyone has a copy of the Team Evaluation rubric. This can be found in the same place on Blazenet. The important thing here is to make clear to everyone up front that you are going to be brutally honest in completing this form at the end of the project. Help the students understand that you are going to pay attention to these evaluations. I was reviewing some of the videos available through Mentor Commons to find one I thought you would find helpful and I ran across this one. It is about 18 minutes and I definitely think you will find something useful here. You can access it at this LINK. Dr. Darrell Baughn, a Full-Time Instructor at Jackson/Lefleur shared with me a powerpoint presentation he uses during all his courses to introduce students to writing expectations. You can find the file here if you would like to use it: APA GUIDE. A week ago I heard about a student complaining that the Instructor was grading too hard on the writing, instead of focusing on the content. Obviously, the Instructor, in this case, has made the important connection that unless the writing is done right, the content likely won’t even be read in a real-world context. We have to reinforce an emphasis upon writing across the curriculum and ALL of us have to hold this line. To do less is to graduate students who simply won’t succeed in the workplace because they cannot write clearly and with appropriate grammar. Whether you use Dr. Barnes material above or the other resources which have been shared through these blogs and webinars, please make sure in EVERY course you teach that you set the standard, and then hold the students to that standard. To do anything else is to let them down, and to fail in our mission. If you have something that you use to reinforce the importance of writing with your students, please share that in reply to this post.